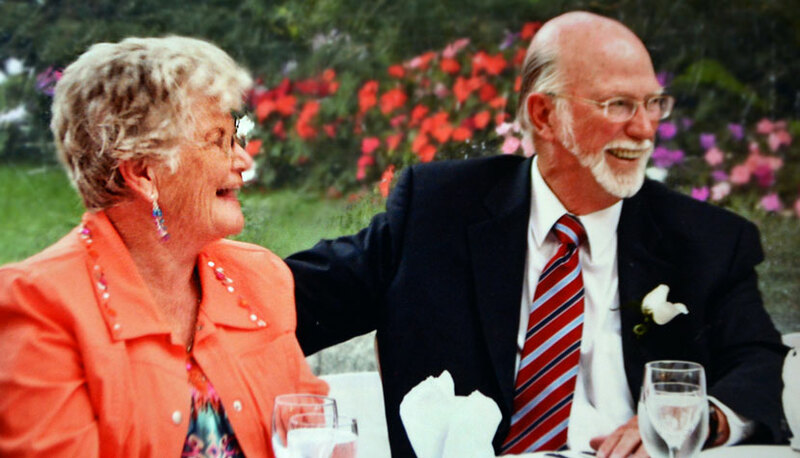 Dorothy and Jim Hewitt (shown in this photo from a few years ago) have made a major donation to the SOS Medical Foundation’s campaign to provide the medical equipment for the Penticton Regional Hospital expansion. Jim Hewitt laughingly recalls his first date with his wife Dorothy. It was during the 1979 provincial election campaign while Jim was running for re-election as MLA in the Boundary-Similkameen riding. A campaign worker convinced Jim to ask Dorothy to a dance as part of a charity golf tournament. He was scheduled to pick her up at 7 p.m. but overslept during a nap following his round of golf. Jim went on to win the election – and more importantly, won Dorothy’s heart. They’ve been married for 38 years. Now the Hewitts have made a major donation to the South Okanagan Similkameen Medical Foundation to help provide medical equipment for the Penticton Regional Hospital expansion. Born and raised in Toronto, Jim Hewitt earned his accounting designation after moving to Vancouver in 1962. He relocated to the Okanagan in 1967 to become manager of what was then known as the Penticton & District Credit Union. It expanded greatly over the years and is now Valley First, a division of First West Credit Union. In 1969, he was elected to city council as an alderman, a position he retained until the 1975 provincial election. Jim served as MLA for 12 years (much of that time as a cabinet minister), before resigning in 1987 to head the federal Farm Credit Corporation. He retired from the FCC seven years later. Since retiring, Jim has served on several boards including the Penticton Golf Club, Agur Lake Camp Society, Canadian 4H Foundation and the Canada Revenue Agency. Dorothy grew up in Chilliwack as part of a political family – her grandfather was a Fraser Valley Member of Parliament. Originally a school teacher, she was working in a medical lab when she met Jim. She has been by his side ever since. Their marriage was the second for both of them. Jim said he views their donation to PRH as a way to say Thank You for their years in the community. The new hospital tower will open to patients on April 29, 2019.